Lets get some colour back in this blog! 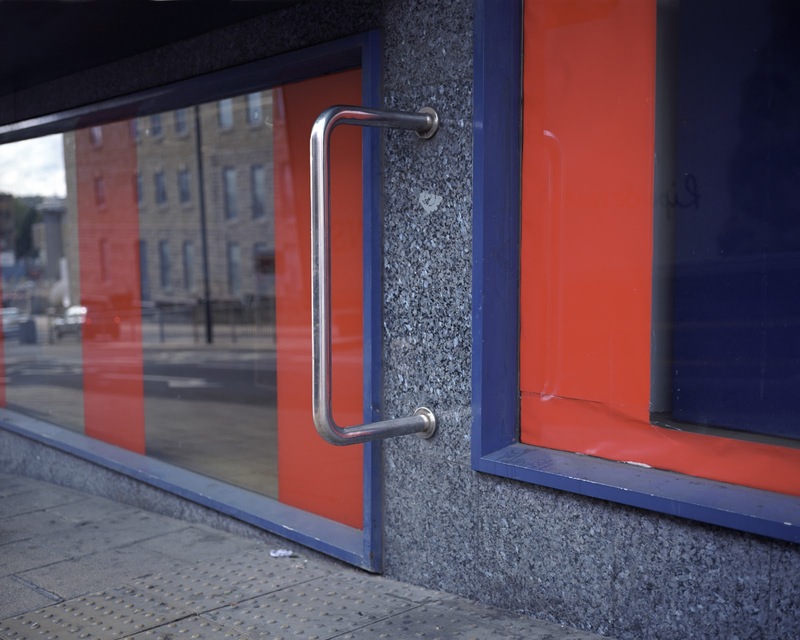 From memory these images where taken in different parts of Bradford but just happen to match up pretty well. I suppose in Britain red and blue often represent two sides of a city in terms of football, our national game. I must admit to having no interest in the game but like the fact that a colour becomes a matter of allegiance. According to a recent Timeshift on BBC 4 actually our national game is bingo. Yes more people play bingo at the weekend than watch or participate in football matches. I'm fascinated by bingo and in fact my photography career owes something to the game, as whilst a student at Staffordshire University in the early nineties I had a part-time job at Hanley bingo hall. It was a surreal experience and seemed a long way from the art world I was attempting to inhabit at the time. The club was in an old cinema and could accomodate 2000 people, and at the weekend was packed out. My job was to run over to anyone who shouted 'house' and read out the numbers on a microphone. Then during the interval I called numbers on Prize Bingo, a small coin operated game for about 30 people at a time. To this day I kick myself for not doing a photography project about the experience as it could have been quite something, I just wasn't working in a documentary style at that time. 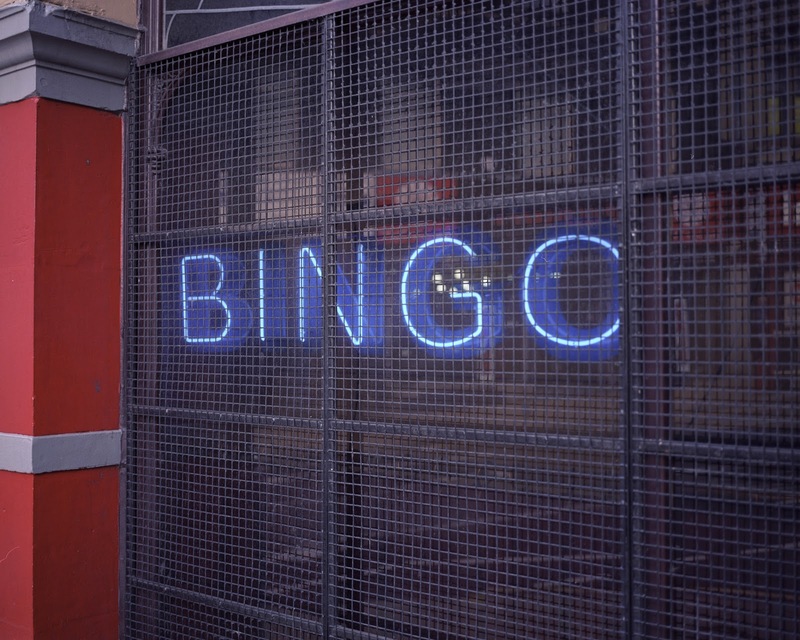 The general synopsis is that bingo was a game played largely in the armed forces to stave of boredom, but when the gambling laws were changed in the early 1960's a loophole meant an explosion in people playing for cash prizes. This coincided with the decline of cinema, and so as cinemas closed down, bingo operators moved in... enjoy! Many thanks, sorry I've only just seen your comment.